Fairfield County's first and only Eritrean & Ethiopian Restaurant. A celebration of East African culture & cuisine. 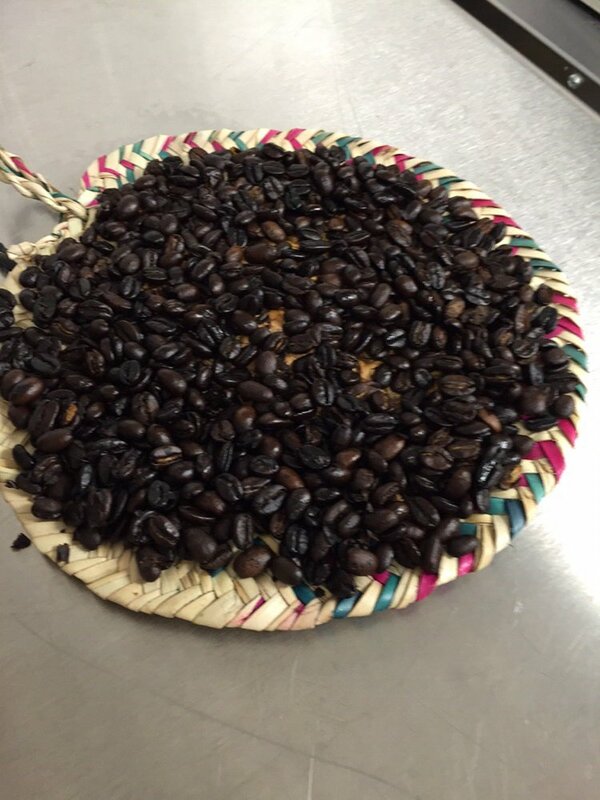 Ingredients handmade in Ethiopia by our family. nothing new...but hopefully we'll have something great to share with you soon! But while you are here, let's talk about allergies. Teff Stamford makes an ample effort to keep our kitchen and restaurant gluten, nut, and seed free. None of our food has gluten, nuts or seeds. We try to prevent any guests from bringing these allergens in. To our guests: please be respectful of these allergen concerns. We prepare ALL foods with olive oil. Also - ALL of our food contains garlic, onions and ginger as a base, except the tibs, which are made-to-order. Please do not hesistate to ask your server about allergy concerns. Located adjacent to the Mill River Park, Teff Stamford is a purveyor of traditional Eritrean & Ethiopian cuisine from Chef Hadas Mengesha. Teff Stamford opened in July 2015 and is located at the entrance of Stamford's West Side, minutes away from downtown with a beautiful view of the Mill River Playground. 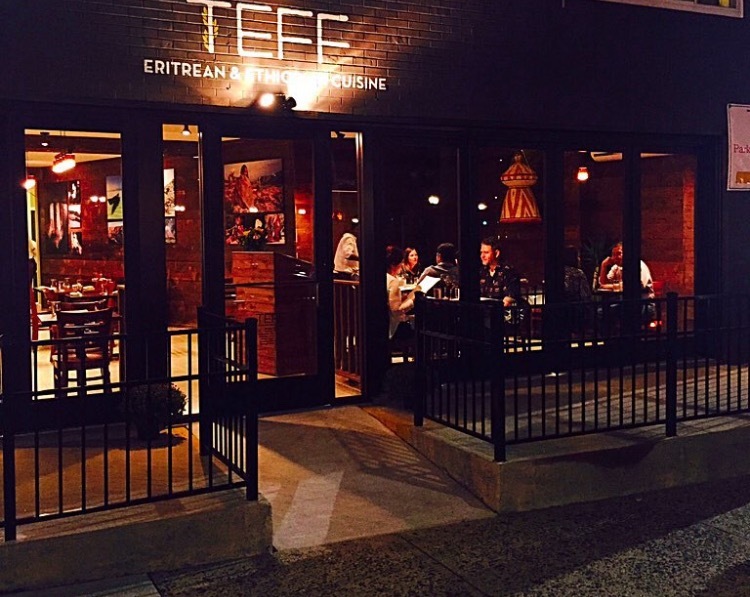 Since opening, Teff Stamford has been serving quality and traditional Eritrean & Ethiopian plates at the hands of Chef Hadas Mengesha, a long time resident of Stamford with her husband, Mekonen, since immigrating from Ethiopia in the mid-1980's. Teff Stamford's interior reflects aspects of the land of Eritrea and Ethiopia. With sandy-like floors and wood paneling reflecting the beautiful green landscape of Eritrea and Ethiopia, the walls are adorned with photographs counteracting "stereotypes" of East Africa as well as items traditional to the culture. Our small, intimate space is ideal to our vision of having all of our diners feel as though they are dining in Chef Hadas & the Mekonen-Mengesha home. Diners are always welcome to peek in our kitchen and say hi. Street parking is available as at Auto Tech, 43 West Main, three doors down. Only park in the spots closest to the road or to the AutoTech building. chopped injera with tomatoes, red onions, garlic, jalepnos, olive oil, parsley & lemon juice - both light and filling! *Entrees include two tasting portions from the vegan menu. Served on fresh, gluten-free injera or rice. Ingudai tibs can be added as a tasting portion for an additional $4 per person. choose four vegan dishes. ingudai tibs can be included as one of the choices for an additional 4 per person. choose two stewed dishes (siga wat/aletcha or dorho wat/alecha) plus any three selections from the vegan menu. ingudai tibs can be included as one of the choices for an additional 4 per person. *these dishes are sautéed and made-to-order. they can be prepared mild, medium or spicy. 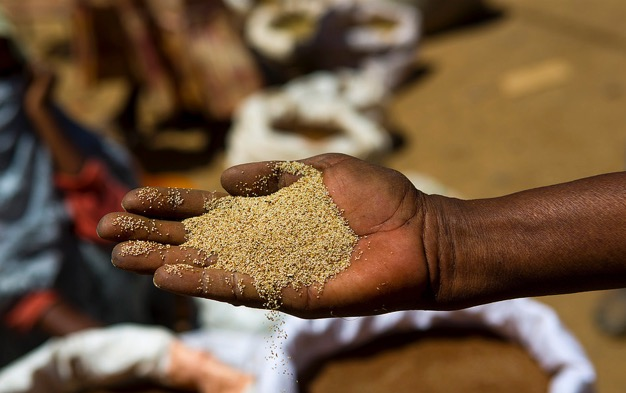 Teff (ጤፍ )is a fine grain—about the size of a poppy seed—that grows predominantly in Ethiopia and Eritrea, and comprises the staple grain of their cuisines. The grain has a very mild, nutty flavor, and it packs a serious nutritional punch. Teff has an excellent balance of amino acids, and it is also high in protein, calcium, and iron. Ground into flour, teff is used to make the traditional bread, injera: a flat, pancake-like, fermented bread that complements the exotic spices found in the regional food. It can also be ground into flour to make an excellent gluten-free flour alternative. Berbere ( በርበሬ) is a staple spice mixture whose ingredients include sun-dried african chili peppers, garlic, ginger, basic, korarima, rue, ajwain, or radhuni, nigella, and fenugreek. It's herbs and spices are less known internationally, making berbere blended in Eritrea and Ethiopia ideal. Teff Stamford is proud to have our family in Ethiopia create our signature blend of berbere and mitmita (a spicer upgrade from berbere) and send to the States for our delicious, traditional dishes. Injera (እንጀራ) is a thin, sourdough, crepe-like bread with a unique, spongy texture perfect for absorbing delicious flavors in traditional Eritrean & Ethiopian dishes. Correctly, it is made with majority teff flour. It is the namesake of Teff Stamford. Injera is traditionally gluten-free (if made with all teff or a blend with another gluten-free flour, such as rice flour). Injera can vary in color based on the color of the teff (brown or red). Injera is fermented first for three to five days to make the batter, known as beyhouk. When ready, the beyhouk is poured on a crepe-like stove, known as a matted (Amharic) or mogogo (Tigrinya) where air hits the beyhouk and the signature holes appear, like a sponge. The injera, served at room temperature to cold, is placed on a plate where the traditional dishes are placed on it and ripped into two inch pieces used to scoop the food. Eating with your hands is key! Call (203) 998–7474 during operating hours or book online with Yelp Reservations. Reservations left on our voicemail are not guaranteed. Reservations encouraged Fridays & Saturday. Across from the Mill River Playground. We will respond within 24 hours, definitely less than that.